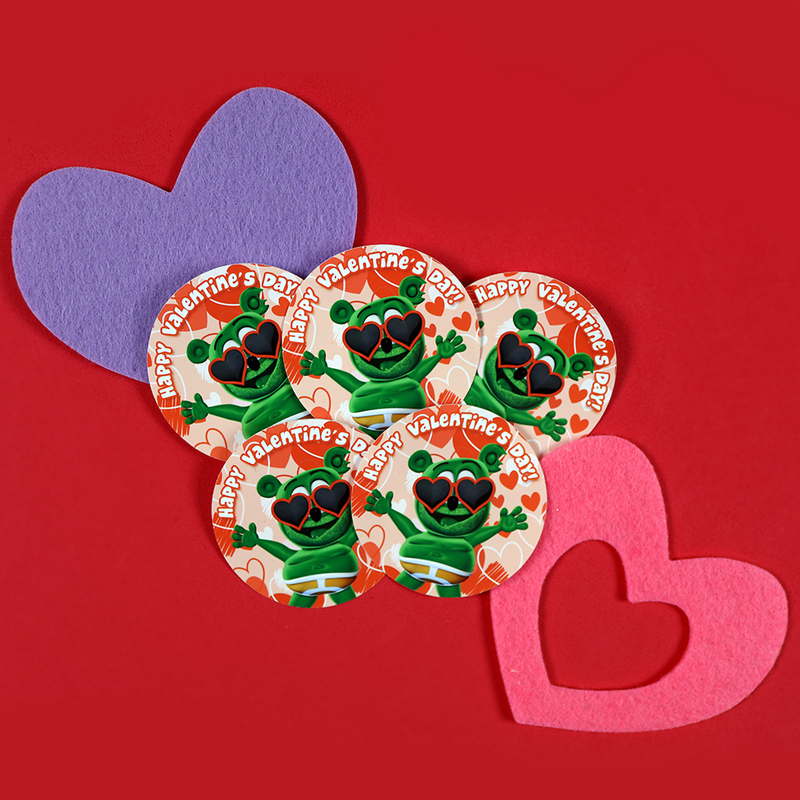 This sticker is part of an ongoing seasonally themed sticker release. 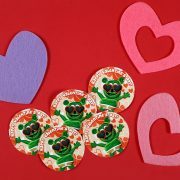 Every couple months or so GummyBearShop.com will release a new sticker for seasonal trends. 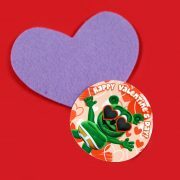 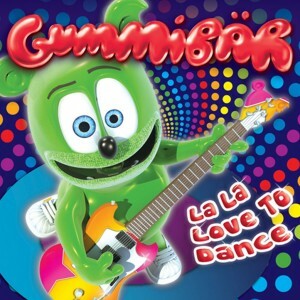 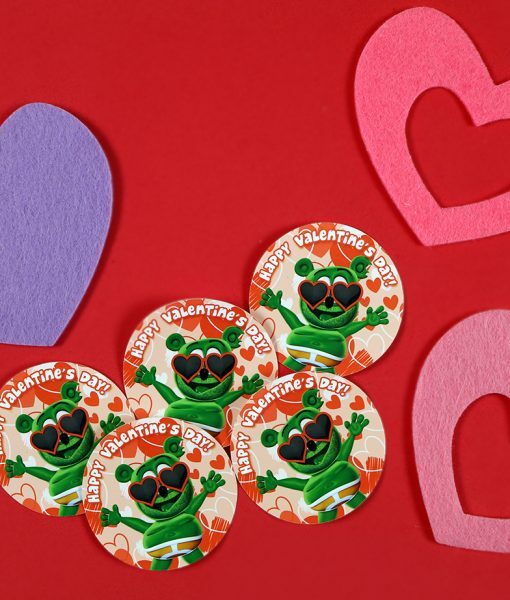 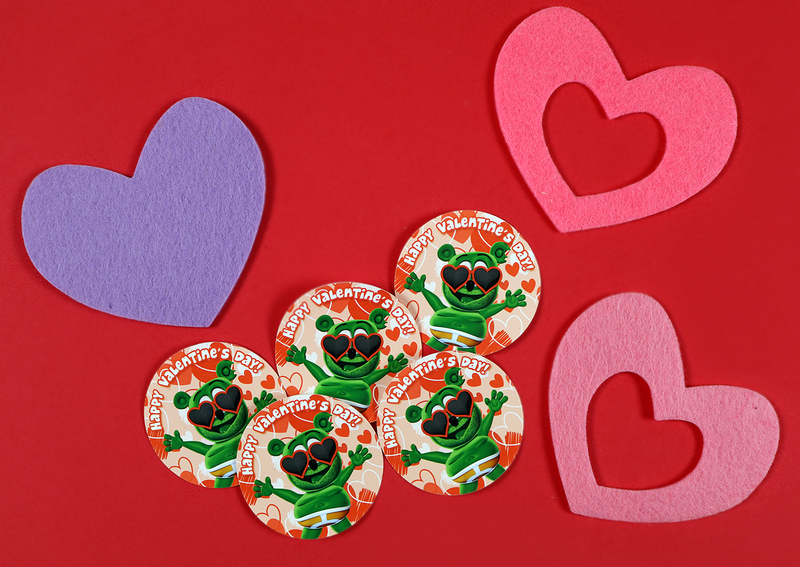 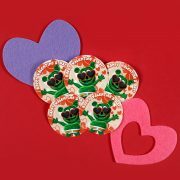 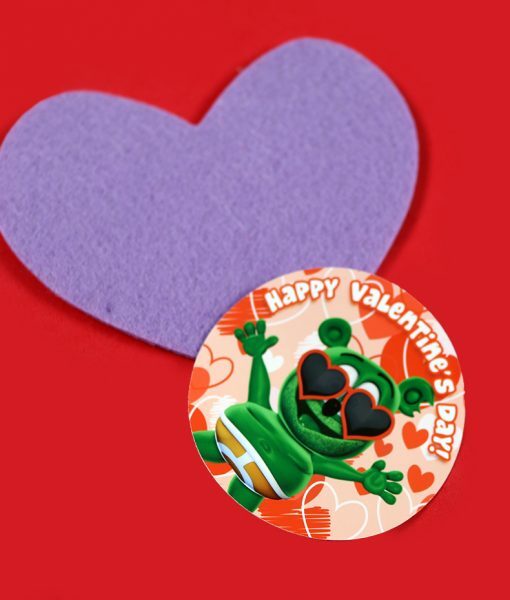 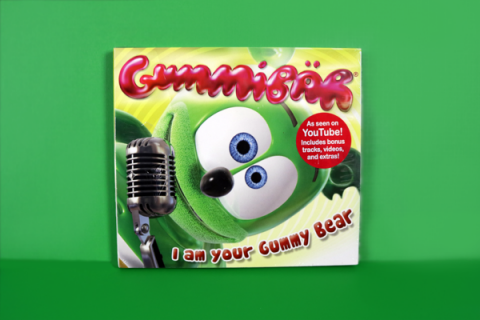 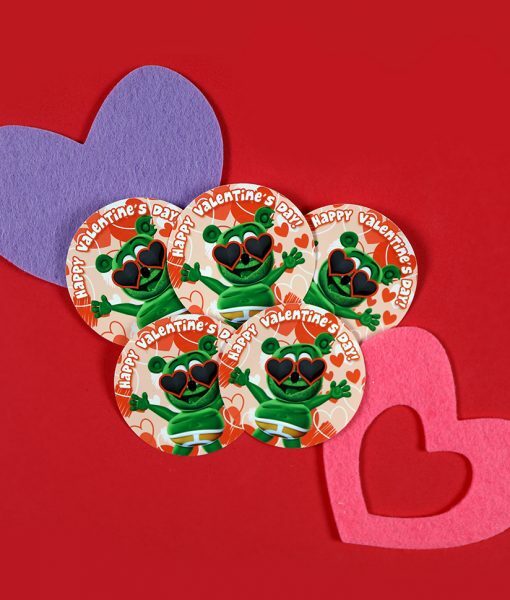 This season’s sticker features a love-struck Gummibär rocking red sunglasses with his arms stretched wide for a Valentine’s Day hug!